GOST-R 인증서 할인 EVENT ! 건설 및 토목 공사 목적물의 일부를 구성하는 모든 제품입니다. 일반적으로 건축, 건설 등 공사목적물이 완성되었을 때 목적물의 일부로써 존재하는 것들로 이해합니다. 대별하면, 시멘트류, 모르타르, 석고 등 단열재류, 바닥, 벽, 천정재류, 지붕재 및 누수방지재류 및 설비류,구조용 베어링류, 액체 보관 탱크류, 골재류, 충진재류, 닥트, 밸브 및 파이프, 캡류, 창호 및 도어류, 유리, 타일 및 내외장재류, 접착제류, 도로건설용 자재 및 설비, 교통제어 시스템류, 도로 표지판류, 화재감지 및 소방시설류, 건축용 하드웨어류, 화장실 변기류, 주방용 자재류, 조명용 기둥류, 도로 안전시설 자재류, 구조용 목재류, 굴뚝, 히터 등 난방 설비류, 폐수처리 설비, 상수도 설비 등이 있습니다. 인증 대상품목은 국한되지 않으나 다음과 같습니다. * 위 품목외의 경우, 메일(anycerti@gmail.com)로 상담 바랍니다. - 아래는 미국철도협회(AAR) 관련 규격 목록입니다. Materials produced for incorporation in a permanent manner in construction works, including both buildings and civil engineering works, must comply with the fundamental regulations during an economically relevant lifetime, provided regular maintenance is carried out. The regulation only indicates the essential requirements. How these essential requirements have to be met is left to experts who translate them into specific parameters such as – in the case of fire safety -ignitability, flame propagation, smoke propagation. These parameters will then have to be measured, implying both test methods and classifications. A material complying with the mandatory classifications will thus automatically comply with the essential requirements of the regulation. The European standardisation committee CEN /TC 99 has developed the harmonised standard EN 15102 for wall coverings. EN15102 was published in September 2007 and harmonised by publication by the EU on December 18th, 2009. CE marking according to the new regulation on wall coverings is mandatory since July 1st, 2013. The conformity of a wall covering with the requirements of EN 15102 must be attested in part by the producer himself, but for certain characteristics, the producer will have to apply to an notified testing laboratory or to a notified product certification and inspection body. The conformity of products shall be analysed and controlled according to different systems. The systems may vary according to the complexity of the regulations and tests necessary to demonstrate the conformity of the product with the manufacturer’s claims. This system is mandatory for fire classes A1, A2, B and C for those products that have obtained these fire classes by adding fire retardant additives during the production process. To guarantee the free trade of construction products, the European Commission has issued the “Construction products Regulation” (305/2011/EEC) on March 9th, 2011. The Regulation only indicates the essential requirements. How these essential requirements have to be met is left to experts who translate them into specific parameters such as – in the case of fire safety -ignitability, flame propagation, smoke propagation. These parameters will then have to be measured, implying both test methods and classifications. A material complying with the mandatory classifications will thus automatically comply with the essential requirements of the Regulation. The European standardisation committee CEN/TC134 has developed the harmonised standard EN14041 for carpets, laminate and resilient floor coverings such as vinyl, rubber and linoleum. The EN14041 was published in August 2004, harmonised by publication by the EU on June 8th 2005. CE marking on floor coverings according to the new regulation is mandatory since July 1st, 2013. Because rugs, runners, etc. 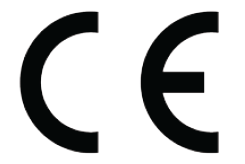 are not considered as building materials, CE marking does not apply to them. The conformity of a floor covering with the requirements of EN 14041 must be attested in part by the producer himself, but for certain characteristics, the producer will have to apply to a NOTIFIED TESTING LABORATORY or to a NOTIFIED PRODUCT CERTIFICATION BODY. This system is mandatory for fire classes Bfl and Cfl for those products that have obtained these fire classes by adding fire retardant additives during the production process.